So, this is a paranormal blog right? We need more paranormal things. I thought I'd cook up a writing post about different kinds of haunted places where I live. I live in Melbourne, Australia of course. Born and raised. 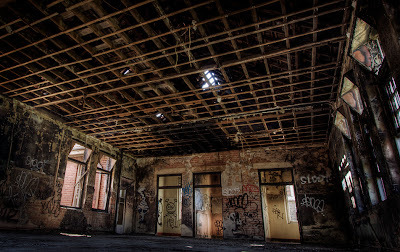 In this post, I will talk about the different haunted places in Melbourne. I will talk a bit of history, the hauntings and if you're really lucky, I'll chuck in a few ghost pictures to make it even more exciting. Larundel Hospital was created in 1938. 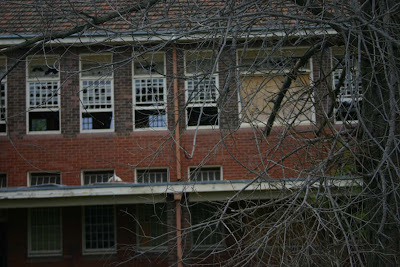 It replaced the then outdated Kew Mental Hospital. By 1940, the works on the building were coming steadily fast, by then the Second World War interrupted building. As first it was considered to be a U.S Military Hospital, or a Children's Welfare Depot. But when the R.A.A.F took it over in 1942, they used it as a W.A.A.F training depot. Part of the building was also used as a R.A.A.F hospital. In 1946, Larundel was given to the Department of Housing. They converted the wards into flats. By 1948, 109 families were living there. 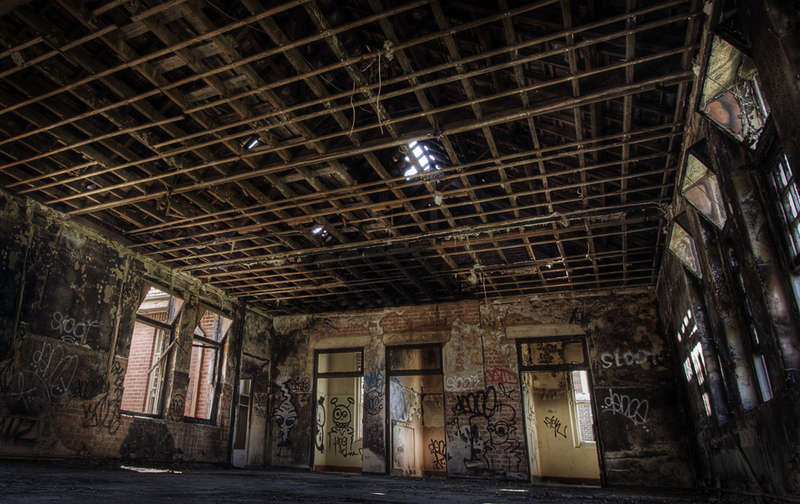 In 1949, the last of the families had moved out, and 30 male patients were then transferred, even though parts of the hospital remained unfinished. 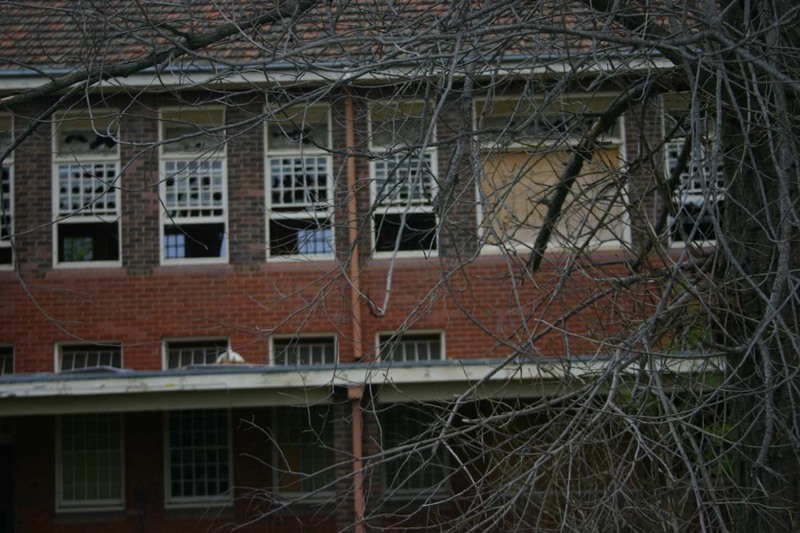 A fire at Beechworth Hospital forced a change in decision, and more funds were done in order to open more wards at Larundel for the Beechworth patients. In 1953, Larundel was officialy opened as a mental hospital. It had 387 patients, a quarter of them were women. Two years later an additional 8 more wards opened up, which allowed at least 360 more patients to arrive (270 of them were female). By the 1970's, there were different kinds of psychological illnesses. Many patients at Larundel had from Acute Psychiatrics, Chronic Schizophenia, Chronic Psychotics and Geriatric Illnesses. In the 1990's they moved away from institutional care to community based care. This change resulted in a lot of Victoria's Mental Hospitals to close and many patients were transferred to Austin Hospital. Right now, the site is being developed. There are plans to build 550 new homes on the site itself as part of a housing development. The building site is closed and there is no access to the general public. Now you know a bit about the history, we come to the haunting part. Despite being closed to the public however, many people find ways inside the building. Word of mouth had got out that the building was haunted, and as curious as one get's, they wanted to find out whether it was true or not. 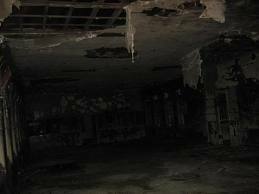 People who have been there have experienced cold spots and strange smells in the buildings. Even from the outside, banging noises can be heard from outside the building. Music boxes and babies crying can also be heard from outside. Many people state that everyday at exactly 12am, the music box will start playing. The sound is very faint, and it moves from different spots in the building. There have also been accounts that people have experienced of doors slamming of their own accord, children crying. If you do happen to want to go one day, be careful of asbestos and security. The building is now getting ready to be knocked down to make way for housing. Unfortunately, I can't find any ghost pictures, but here are a few pictures of the building. 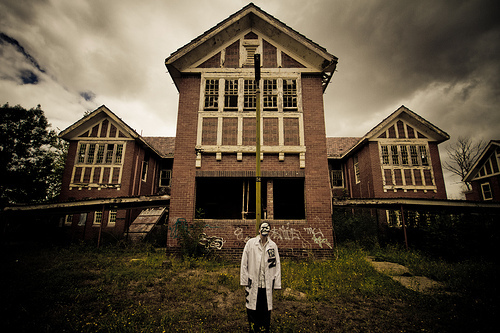 Has anybody every been to the Larundel Mental Asylum in Bundoora, Melbourne? Have you had any experiences? Do you have any ghost pictures? Would you WANT to go? I'd love to go hear for the experience but definitely not by myself! I'd be too scared! We used to go there as teenagers. What happened there was mostly us scaring each other. One time we all experienced something as individuals and as a group that changed the course of our teenaged years. Out of respect to who was affected the worst and was never again to be the same I won't go into detail. It's 13 years on and still it never leaves my stomach, that pure dread, those walls are stained with unrest, pain and woes with no closure... It changed my life forever and due to the event we sadly two years later lost a friend to the void that those walls and halls retain ones mind like a prison... There was 5 of us and we all will never forget that afternoon... There will always be a thin lining between us and KNOWING that there ARE forces which have no bounds to expressing higher levels of emotions unto anothers soul, in this case it was wrath, purified in a life time of pain, and a death without peace, this was what we were exposed to, in detail I'm sorry I cannot say, but it was like nothing I have felt before or since, it's heart was black. The event lasted about 15 minutes but It was a lifetime and it still is there in my mind and soul, I can taste it's bitterness on my tongue and smell it's stench still from time to time... One of us was lost forever. We get together the Rest of us and have a drink sometimes but it's where our life stopped, we are still there just like our friend, we can't ever leave. I'm really sorry to hear about your friend. I respect your decision to not tell the experience as it must've been a really traumatic one. Thank you for taking the time to respond and read the article. I'm sure your friend is in peace now, and I hope that one day you and your friends can try and one day move on and give yourselves some peace. Ghosts only torment those who deserve it. You were taught a lesson, made better by the dead. The dead understand, none are wiser than they, for they know the other side, they see all. Your friend who died was unteachable, unfixable, and so he was destroyed. He deserved it. What the hell?! There is no such thing as a good ghost. 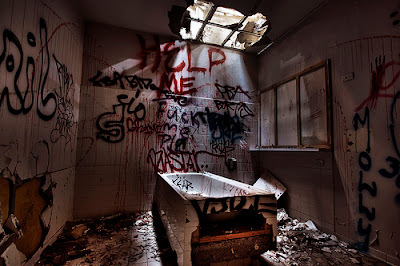 I was locked up in there and knew some of the people who died in there. Trust me when I say this, those people who died while it was open only torment people because they want to see people's lives destroyed. And how dare you insult the memory of this person's friend. You are no better than the people who died there. I agree with that. That person wrote a horrible and disrespectful comment. To whoever wrote it, hope you're not in a similar situation one day. Karma is tenfold. ive been here many times , its an amazing experience ! I've been there a few times and every time there was something different, i cant really explain it but is something everyone to try. I've been there heaps and everytime something new, must go! Have you been there recently? is it still accessible - I heard it was a construction site now..? They do have a lot of barriers there now. From what I can outside, there is no entrance inside. But I'm sure others will find some sneaky ways to get inside. I was about 12 the first time I visited Larundel, my mother was an inpatient there several times during the 70's and early 80's. Mid 80's I was back there on placement as a student psych nurse, I also did student placements at Mont Park and Royal Park.... but nothing was creepier than my training hospital - Willsmere. From the dungeons to the towers and all the wards in between... Head nurse on night shift was not for the faint hearted. I had a drive around the remains of the complex a couple of years ago when one of my children was living in the area... so many memories. I was there last night - beware one of the buildings now has an alarm and the police arrive fast and they bring german shepherds .. once the cops left though we were able to explore the main building which was very eerie heard a few sounds and saw things I wasnt sure if was real or not - had to run pretty fast out of there because security were still driving around to keep people out of there though and its apparently a $3000 fine if you get caught.. I was there today (28/12/2013), Access is easy.You just walk straight into the buildings. Beware of holes in the floor. We spent about 90 mins there and saw no security or police. See it before it's gone forever. Thank you for that. Sad it's in such a state now. So there wasn't any security today? It is the place of misery and sorrow. They can knock it down but they will remain there. Such horrible experiences cannot be removed and the souls are trapped. They watch the world go by and many of us can feel them watching us. They peer at us through the broken windows, trapped in their horrific otherworld. I couldn't agree more. It's so sad to see this happen. No matter what building lays upon this land, this place will be forever be filled by the restless spirits that once occupied La Rundel. I've heard the music Box story. Was there a couple of weeks ago and heard a music box... twice. I think it's a clock nearby as it was almost on the hour it did it. Some parts are, but the main building is still standing. At 53 I don't scare easily , however my forth visit to Larundel was something I will never forget . There were 4 of us carrying out a paranormal investigation when I deviated away from the group into a room on my own , I had a solo visit once before so being alone did not worry me in the slightest until I walked into a cold spot and turned around. I felt like I was standing at the portal to Hell and I s^&* myself like never before , I can't explain how intense the level of fear was. I yelled out to my companions who came running , two swear that they saw a male run out of the room , however I saw nothing but I had all my nerves shattered. Wow. So there's definitely some dark energy at that place. Just wow. I'm guessing you won't be going back any time soon? In fact I have been back many times since , but there has not been a repeat of that incident. I can understand 'Lucifers Laneway's post 100% because he and his friends experience sounds similar. Going in alone at off peak times is the best time to pick up on any residual energy , but be aware that it can attach and you can take it home . I've stopped going in since reconstruction commenced. Wow. That's very interesting to hear. Would you be able to show me the photos? If you don't want them put up on here, I completely understand, but discreetly? Yep, I saw them! Thank you so much for that. Wow, really? That sounds very interesting indeed. What Australian Entity Film? Which one? You could do with some brain cells yourself , your post is unpunctuated and makes no sense ... where did I claim to be an expert ?? ... 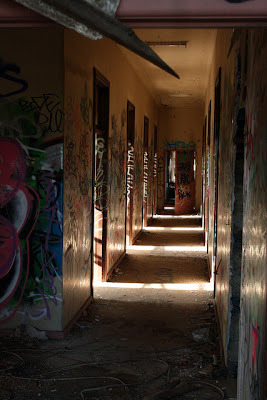 I've explored every inch of 6 buildings at larundel and I know 100% there is something evil there. I worked at larundel in the early 80's. Haunted yes definitely! Night shift on the North wards was definitely an experience........... And the South wards will remain forever in my memories as scary and definitely not a peaceful place! Really!!!! Ive worked numerous nights there across the site in many wards, often alone. I always felt safe. I worked as a nurse at Larundel, Mont Park, Plenty and Greswell Hospitals from 1980 onwards for many years. Whilst patients there endured and suffered from the symptoms of their illnesses there was much done to help relieve, nurture and treat them . I witnessed much kindness compassion support and care delivered by my peers. The psychiatric community consisted of patients nurses doctors gardeners allied health staff cooks hairdressers bootmakers etc etc. I personally felt a link to all who lived and worked there with an innate belonging and understanding. I cared much and still hold fond memories of all who frequented the old places. Hi am wondering if anyone has photo or video of larundel from the 80's or 90's?